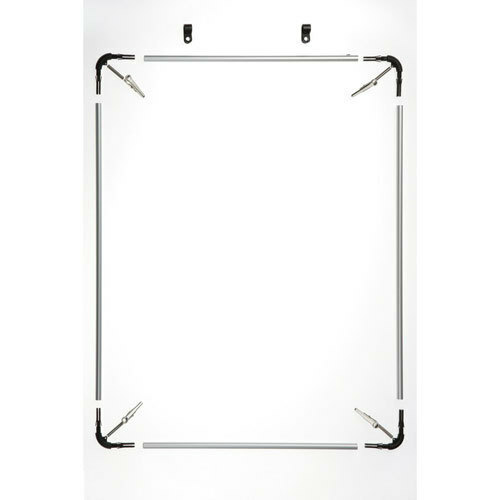 The "Stretch Frame" is our light weight poster holder. 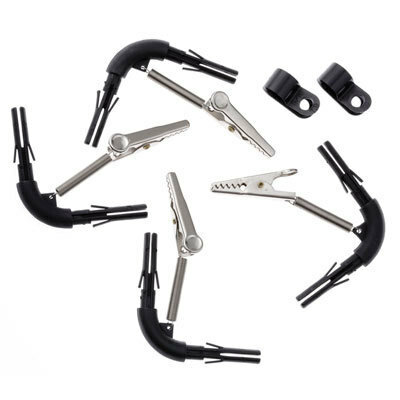 The set includes the silver anodized aluminum frame with black corner connections, tension springs with alligator clips and 2 hangers. 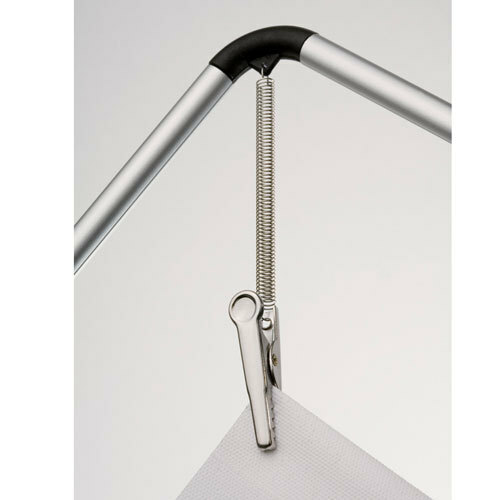 With the stretch frame you have the opportunity to let your posters hang stright down from the ceiling. 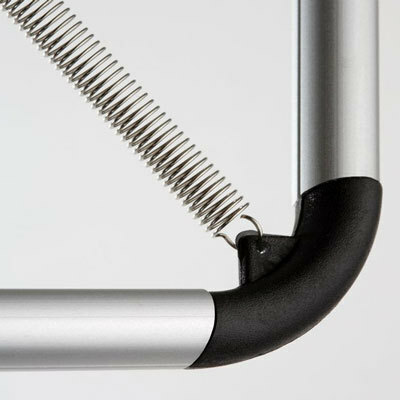 Therefore you can order the clamping frame set separately. This is optimal for a shop-window presentation.